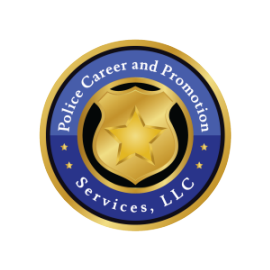 Enroll Securely in Your Advanced Police Promotional Testing Course. Choose the Time Needed, and the Textbooks and Editions for Your Exams. 1. Review the list of exams below. See how many of your textbooks we cover. 2. Choose below the time option that fits your needs - Option 1 is 180 days, Option 2 is 90 days and Option 3 is 30 days. 3. Using the drop-down box, choose how many titles and editions based on how many of your titles we cover. Exams for more than one textbook are 50% off - 1/2 price. 4. Once you have the time period needed, and number of titles/editions, click the Buy Now button. 5. On the next screen you can use a PayPal account, or to use a credit card, choose "Guest Checkout" or "Pay With Debit or Credit Card." You can use a Visa, MasterCard, Amex or Discover card. 6. Next, email us. Include your name, and your choice of titles and editions. You can copy/paste from our list of exams below, or copy/paste from your agency's textbook list, or simply attach the test announcement to your email. That's all there is to it. We'll handle the rest. 7. You'll receive 3 emails - 1. will be an email with your login info to access the Advanced Online Exams and Online Flashcards in the Learning Management System. 2. has your Desktop Exam and Flashcard PDF files attached, and 3. has instructions on how to access the FREE and BONUS items included with your membership. Any questions? Contact us, we'll respond quickly. Option 1 - You need the most available time - a full 6 months - 180 days - of access. Only 99.95 per exam, plus a 50% discount on exams for more than 1 textbook. Option 1 - How many Titles/Editions? Option 2 - Is the typical study period based on agency exam announcements (and our most used option) - a full 3 months - 90 days of access. Only 79.95 per exam, plus a 50% discount on exams for more than 1 textbook. Option 2 - How many Titles/Editions? Option 3 - Lowest cost. Test time coming up fast? - choose 1 full month - 30 days of access, which is only 69.95 per exam, plus a 50% discount on exams for more than 1 textbook. Option 3 - How many Titles/Editions? After you enroll - watch for our emails! If we need information such as to verify your titles and editions or if we have any questions we will send you an email from PolicePromotion@Gmail.com - so please check your local and online spam folder if not found and move our emails to the inbox and place on your "allowed" email list. If you don't see any email from us, it is likely your email handler (especially an agency email server) is blocking our emails at the server level. Send us a personal Gmail.com address and that will solve the problem. You can register a free Gmail account in less than 5 minutes here: Create a GMail Account. Legal Guide for Police Constitutional Issues 11th Edition. Attorney-written exam coming online April, 2019. Supervision of Police Personnel 9th Edition Iannone. Exam coming online June or July 2019. Organizational Behavior and Management in Law Enforcement 4th Edition. Exam coming online May 2019. Criminal Investigation the Art and the Science 9th Edition Lyman. Exam coming online June 2019. Police Field Operations: Theory Meets Practice 3rd Edition. Exam coming online June 2019. - Florida Law Enforcement Handbook 2019 - 310+ questions. - Michigan Criminal Law and Procedure 4E Kendall Hunt 2019 - 390+ questions. email our Testing Center QUICK RESPONSE 9 a.m. to 9 p.m. Eastern, 7 days including holidays!